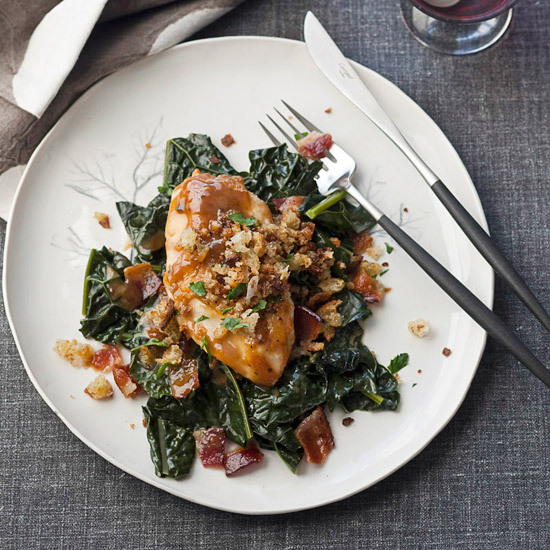 These chicken recipes are F&W's most popular with tips for the at-home chef. Roast chicken is a crowd-pleaser, so it's nice to mix it up once in a while. Here, chef Hugh Acheson brushes the chicken with a simple and tasty combination of soy and mustard while it's roasting so the skin gets a beautiful burnished color. He serves it alongside a smart version of chimichurri made with carrot greens. Mixing crispy baked rice with soft, fluffy steamed rice creates the most addictive texture. 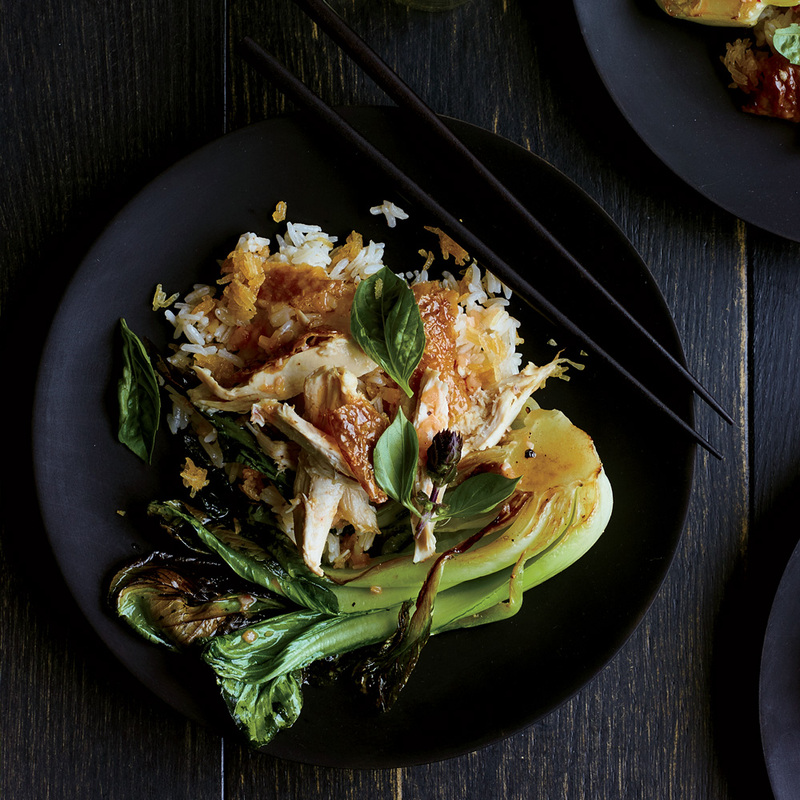 Chef Hugh Acheson tops that magical rice with shredded chicken, saut?ed bok choy and a spicy, tangy vinaigrette made with kimchi. Chef John Sedlar flavors this pan-roasted chicken with a range of citrus, including Cara Cara oranges, blood oranges and pomelos. The dish is just as delicious with a simple mix of navel oranges and limes. 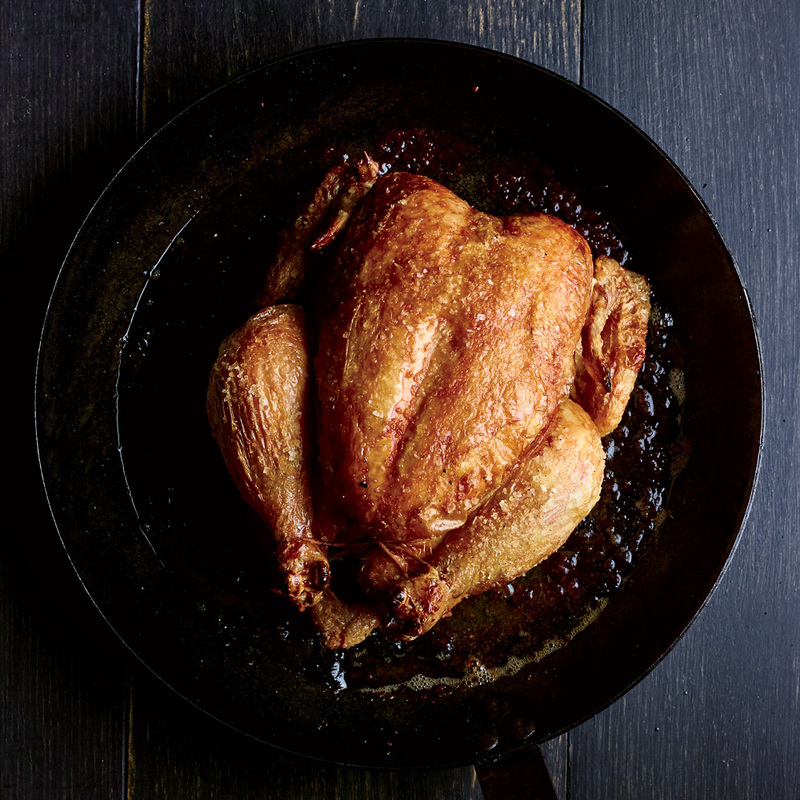 This perfectly crisp and juicy roast chicken is one of many fundamental recipes that chef Hugh Acheson includes in Seed Life Skills, a new home economics program he launched in Athens, Georgia, middle schools. 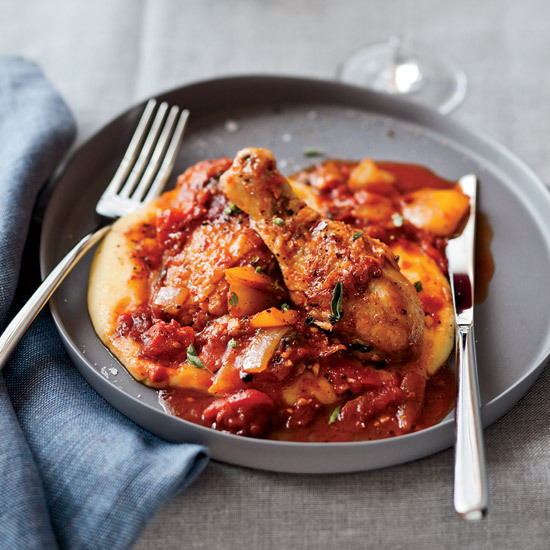 From the chicken, he makes myriad dishes that will help expand anyone's cooking repertoire. Acheson is chef/partner of the Athens restaurants 5 & 10 and The National; the Atlanta restaurant Empire State South and coffee shop Spiller Park Coffee; and the Savannah restaurant The Florence. 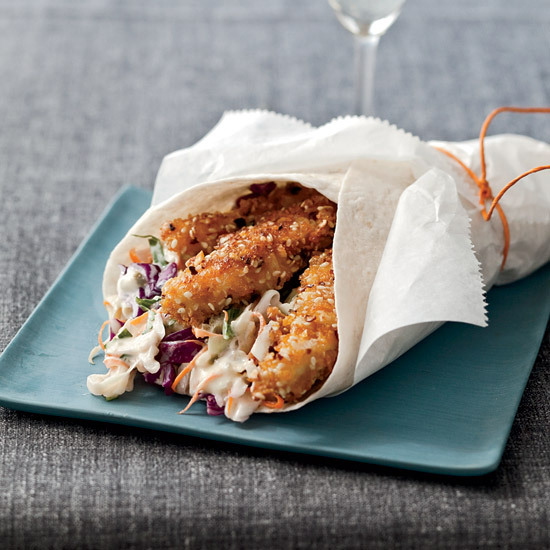 This ingenious fried chicken is coated in a mix of cornflakes, slivered almonds and sesame seeds, then wrapped in a tortilla with a mango-jalapeño slaw and a spicy ancho "paint." An easier way: Keep the crunch but omit the chile "paint," instead upping the amount of jalapeños in the slaw. All'Arrabbiata means "in an angry style" in Italian. Chef Robert Holt braises his chicken with five kinds of peppers in a wood-fired oven. 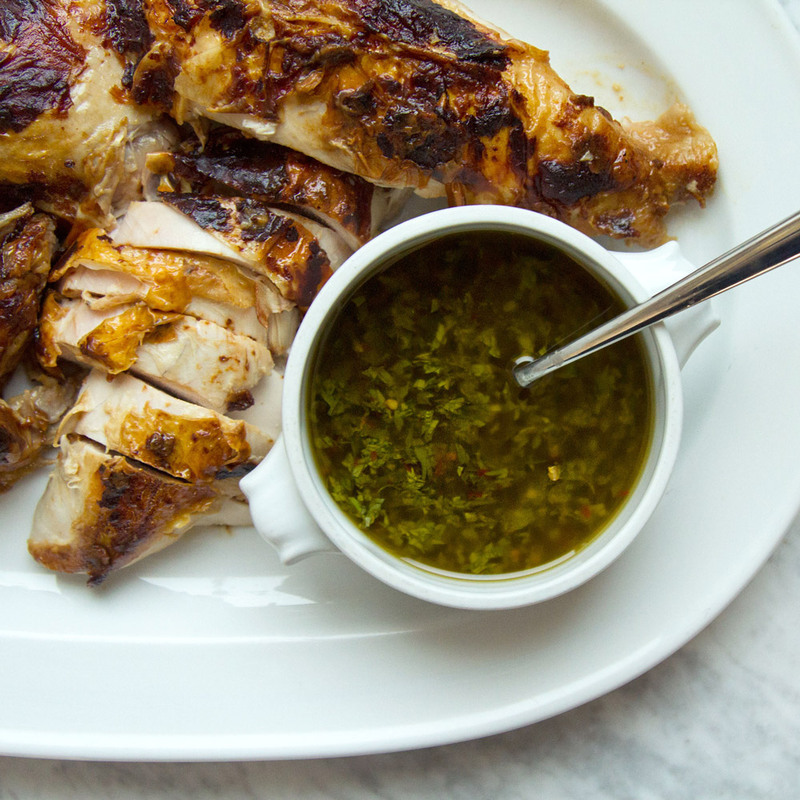 An easier way: Spice the chicken with poblano and chile flakes, then braise it. For extra kick, toss in some hot pickled cherry peppers. 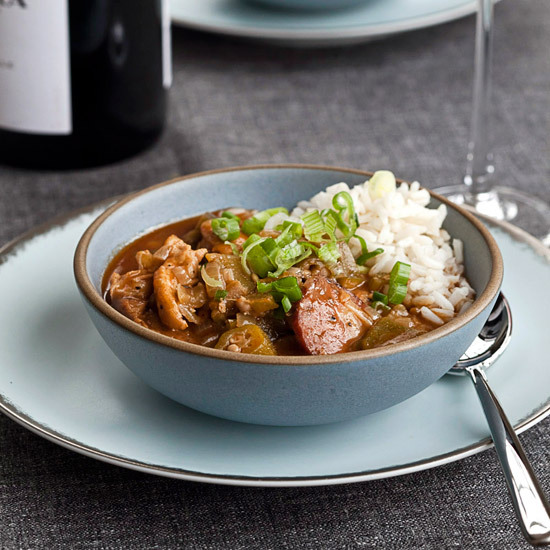 Chef Rembs Layman prepares rich gumbo with house-made stock and an artisanal jerk seasoning blend. An easier way: Use store-bought rotisserie chicken, canned chicken broth and supermarket jerk or Cajun seasoning. Chef David Slater glazes chicken breasts with maple syrup, sherry vinegar and orange juice infused with spices. Then he serves them with a confit chicken leg, caramelized root vegetables, braised kale and crisp bacon. 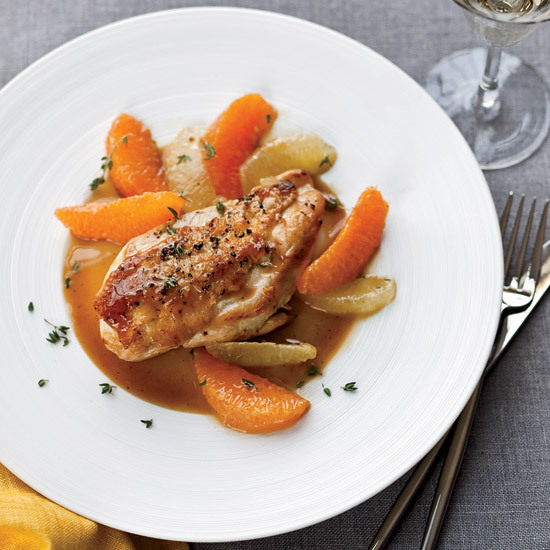 An easier way: Glaze the chicken breasts with a sweet-tangy blend of syrup and vinegar and skip the confit leg and root vegetables.